Since 2003 John Morphet, the owner of Pure Leisure Group has successfully raised in excess of a million pounds for worthy causes, by hosting an Annual Charity Ball in the grounds of his South Cumbrian home. 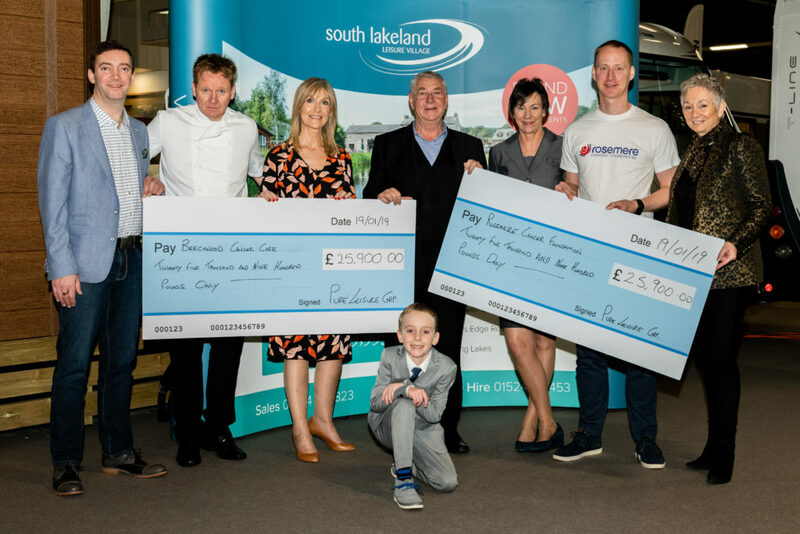 Every July, up to 300 guests attend, enjoying the best of entertainment, great food and a fun atmosphere, but most importantly raise much needed cash for local, regional and national charities! Many party guests are local entrepreneurs and business owners and this year’s celebrities were Tom and Julie Malone of Googlebox fame and the BBC Antique expert and auctioneer, David Harper. Every year a charity or charities are selected for donation of the funds raised by the Ball and this year Rosemere Cancer Foundation and Beechwood Cancer Care were selected. Rosemere Cancer Foundation funds cutting edge medical equipment; provides innovative support for patients, carers and their families; facilitates excellent training for Clinicians and also funds local cancer research projects within the Lancashire and South Cumbria area. Beechwood Cancer Care is a Stockport based Day Care Centre which offers support to those patients, families and carers effected by cancer and other `life limiting’ illnesses. The charity is independent and donations are needed to keep the centre running. John presented both charities with cheques in the sum of £25,900 at the 2019 Caravan and Motorhome show at Event City in Manchester. Pure Leisure Group were showcasing the ABI Beaumont and Swift range of Static Caravans at the show and they proved a perfect backdrop for a splendid photograph. Charity giving is clearly close to John’s heart, a father of five, and he has said “every year I’m amazed by the support and generosity of everyone who donates, attends and rallies to raise such a fantastic amount of money”.